When Autumn Calabrese, creator of the 21 Day Fix, came out with her new cookbook, FIXATE, I just knew that I had to get my hands on that! I am not typically a cookbook person. I have a bunch, and then totally forget to use them. I usually end up looking up recipes on Pinterest or somewhere else online. However, this cookbook was different! Not only are the recipes super easy to make, they are also extremely healthy…AND the best part is that it’s perfect for those following the 21 Day Fix plan. Autumn lays out exactly which color coded containers she uses for each recipe along with other nutritional information. 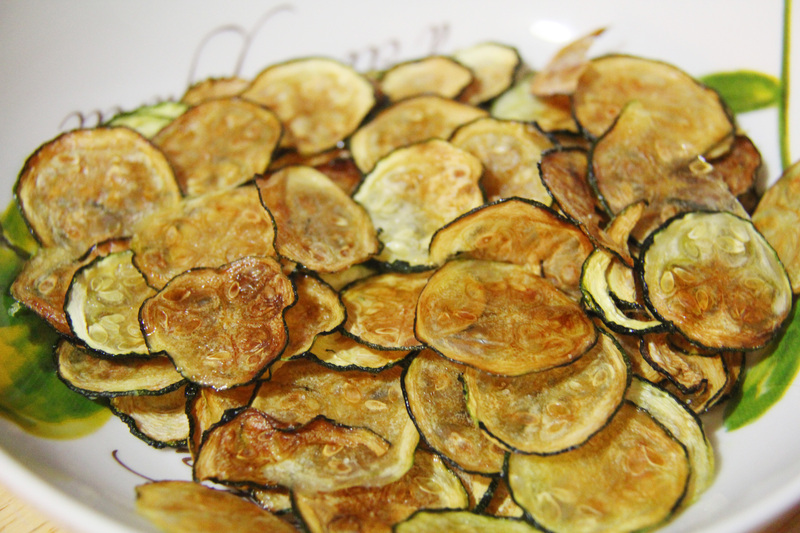 Since I have been demoted to sous chef in my household (not due to terrible cooking, mind you…but due to childcare duties and hence lack of a desire to cook on my part these days), my husband took on this recipe for Zucchini Chips, and I have to say they were bomb diggity! Yes, I just said that…sorry I’m a child of the 90’s 😉 We will definitely be making these bad boys again…and you know, maybe I will even make them myself next time around! 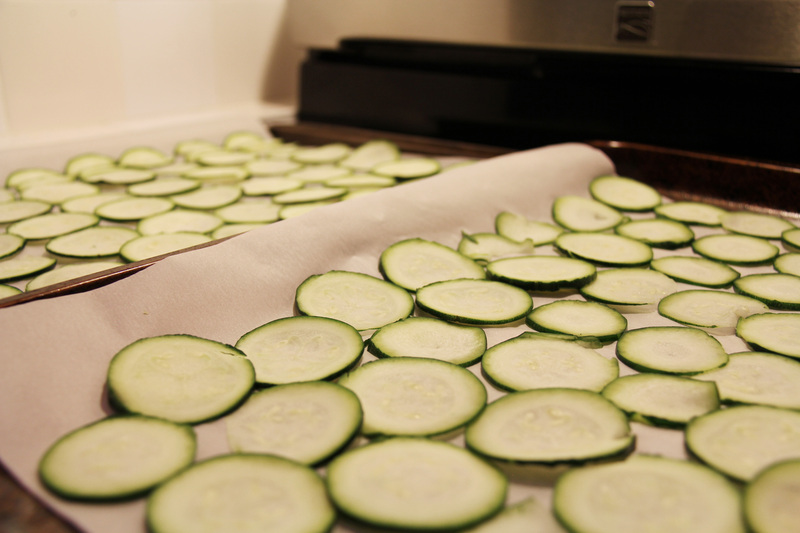 Place zucchini slices in one layer between paper towels to help draw out liquid. Line two large baking sheets with parchment paper. 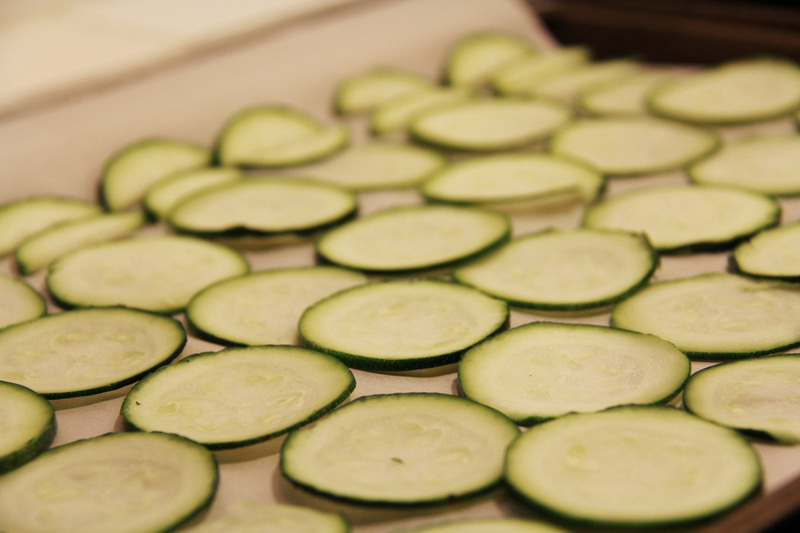 Place zucchini slices on prepared baking sheets. 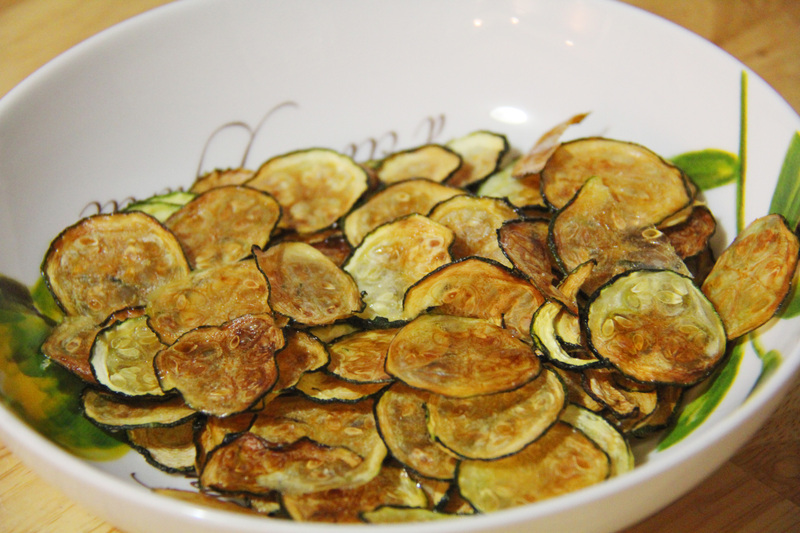 Brush zucchini with oil; sprinkle with salt. Bake for 2 hours, or until golden brown and crispy. We had our first family road trip to Maryland this past weekend as a family of four. It was definitely challenging, but we survived! It was wonderful to celebrate two of my best friends as one is expecting her first child and the other is getting married very soon! We have all been friends since high school, and it’s amazing how close we still are even after so much time has passed. I hope you are all enjoying the week so far and embracing the fall! What kind of life do you desire for yourself? I find that as I get older and time goes on, my priorities have changed. In my twenties, I may have been fine with working late hours, meeting up with friends for an after work drink, crashing late, and doing it all over again the next day. But now as a mom of two kids, I want to be here to tuck my kids into bed at night, read them stories, and snuggle them to sleep. Previously, I was okay with a long subway commute. I used it as an excuse to get lots of reading done and was proud at how many books I could finish underground. Now, I do not want to spend a total of 3 hours per day commuting, because that means 15 hours a week extra that I would be spending away from my kiddos on top of a long work day. My family has become my priority these days. I love being a mom…the good, the bad, and the ugly. The lack of sleep and toddler tantrums have nothing on those newborn snuggles and those slobbery toddler kisses. That being said…I never saw myself as a stay at home mom. My mom worked hard outside of the home each and every day, and I figured I would follow in those footsteps. I studied hard in school and had dreams of a future and career that involved television and movies and sports and more. I wanted to be successful in my own right, and never have to rely on someone else to pay my bills. Not that those who are stay at home moms are not successful. It’s the hands down HARDEST job I have ever had to date! And I give props to every single stay at home mom out there, because having and raising kids on a daily basis IS definitely success in my book. But the difference between then and now is that I didn’t realize then that I could be FINANCIALLY successful AND be a stay at home mom at the same time. I could own a business, work from home, AND spend my days raising my children the way I see fit. The best of both worlds in my mind. Now, I’m not saying that it’s easy. 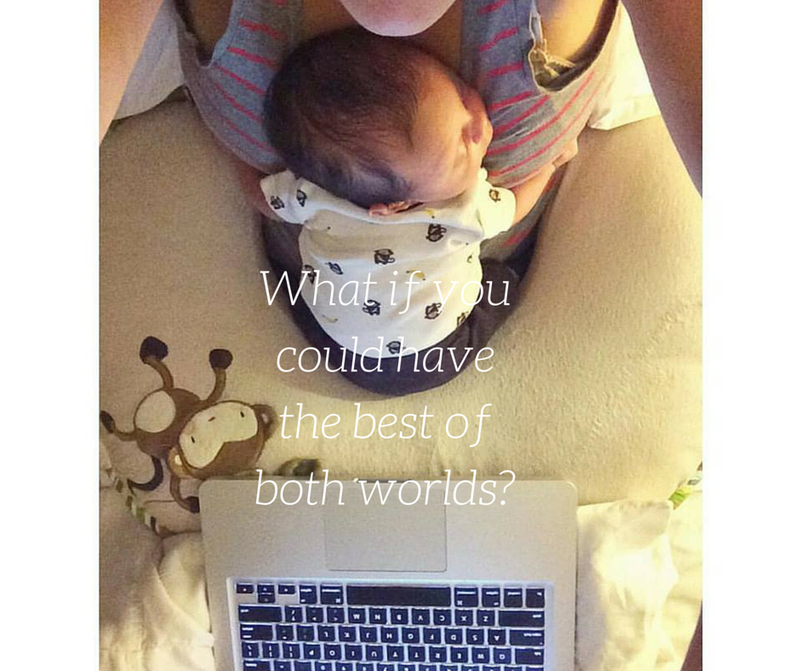 I work HARD…both as a mom and as an entrepreneur. And some days I still feel like I am not quite measuring up in either category…because let’s face it…as mom you never feel like you are doing everything right…I am only human, and I can only do so much and yes, it’s HARD to work from home when you have a toddler…and now with a newborn, it’s even more crazy. But I am making it work, because it’s what’s best for ME and what’s best for my family. I am getting to fulfill something that I always wanted to do by having my own business and creating my own success…and I am not missing out on those opportunities to see my children grow. The best part is that I have the FREEDOM to work when and how I want. I am able to create my own schedule and hours. I am helping others to reach their goals not only in health and fitness, but by teaching others to build their OWN business as well. This opportunity is not exclusive to me. Have you ever thought about being a fitness coach? What about being home with your kids more? Or having the freedom to work from wherever you want? Or to stop stressing about money on the regular? If so, I would love to invite you to join me and Team SPARK on Monday September 28th as we host a sneak peek into our business and share what is that we do on a daily basis. We are looking for 5 hard working, creative, and intelligent individuals who are looking to create more freedom for themselves or for their families. If you have any interest at all in learning more, please comment below and fill out this application to save your spot in our 3 Day Coach Open House group! 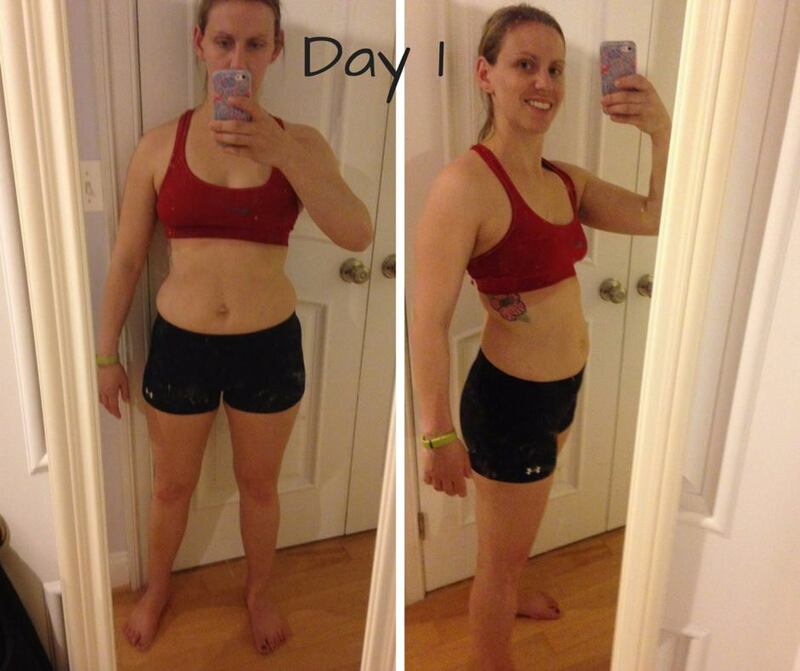 She joined my Challenge group in May of this year, and dove right into the fitness and nutrition plan for P90X3. I met Caitlin in high school back in Maryland (her brother was in my class), and she was always active and fit. However, as many of us women know, having a baby can take a toll on our bodies. 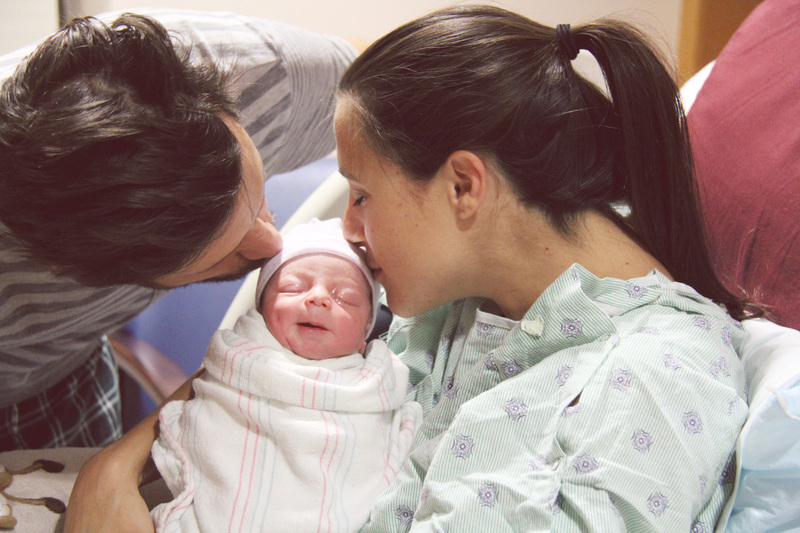 She has a beautiful baby boy to show for it, but Caitlin was eager to get her post-baby body back. Plus, working as a pastry chef, it was hard for her to keep her hand out of the cookie jar if you will. I don’t blame her! I was so happy to have her join my group. She worked so hard, and has incredible results to show for us and has adopted a healthy lifestyle for herself and for her family. Okay enough chatter from me…let me introduce you to Caitlin and let her tell you about her journey herself! 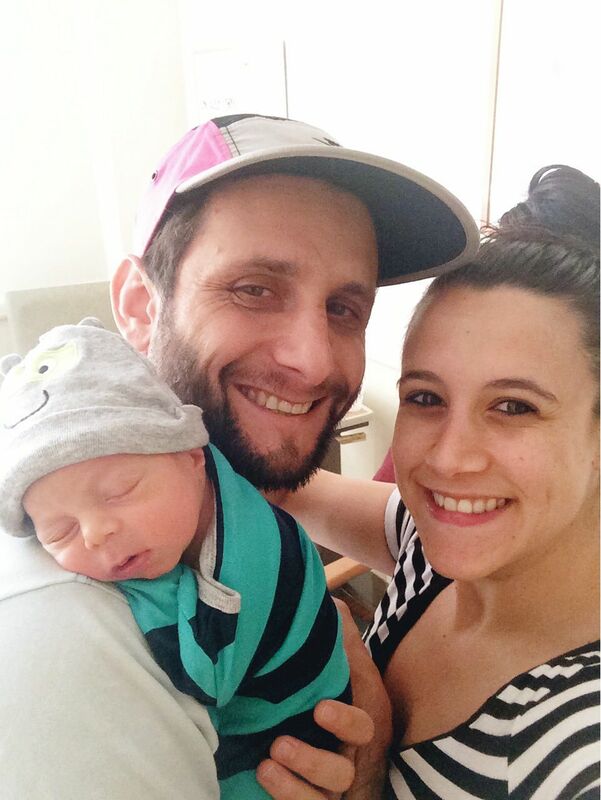 Caitlin: I live in Baltimore, MD with my husband, Matt, 9 1/2 month old son, Max, and dog, Buck! 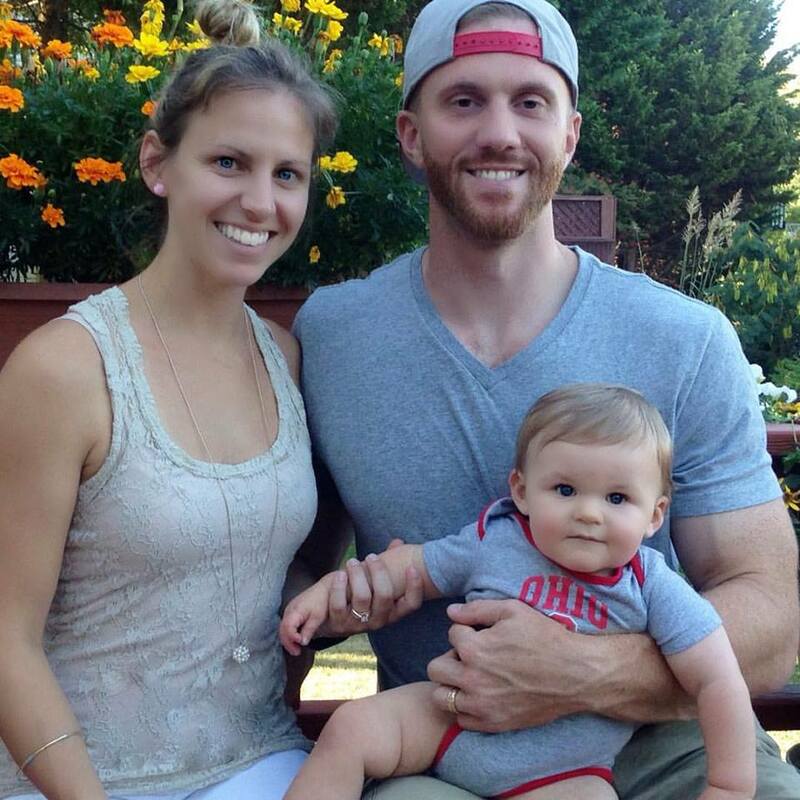 I went to the Ohio State University and studied Athletic Training. I did that for a few years but burned out quickly and decided to pursue my passion in baking and pastries! I went to culinary school and I am a pastry chef – which makes it hard to resist my sweet tooth since I am surrounded by goodies all day! P+P: What is your fitness background? Caitlin: I was always an athlete and have always loved to workout. I played softball, ice hockey, and when I was younger did everything from basketball to soccer to ballet! I love sports and have never had a problem working out (well sometimes the motivation isn’t always there but once I get going i’m good!). During my pregnancy I tried to stay active though I did not have a set workout routine. I stuck to mostly walking but made sure I did it daily! I still gained weight, as you are supposed to during pregnancy, but it was hard to lose after! P+P: Why did you decide to try P90X3? P+P: What about the program worked for you? What did you like about it? 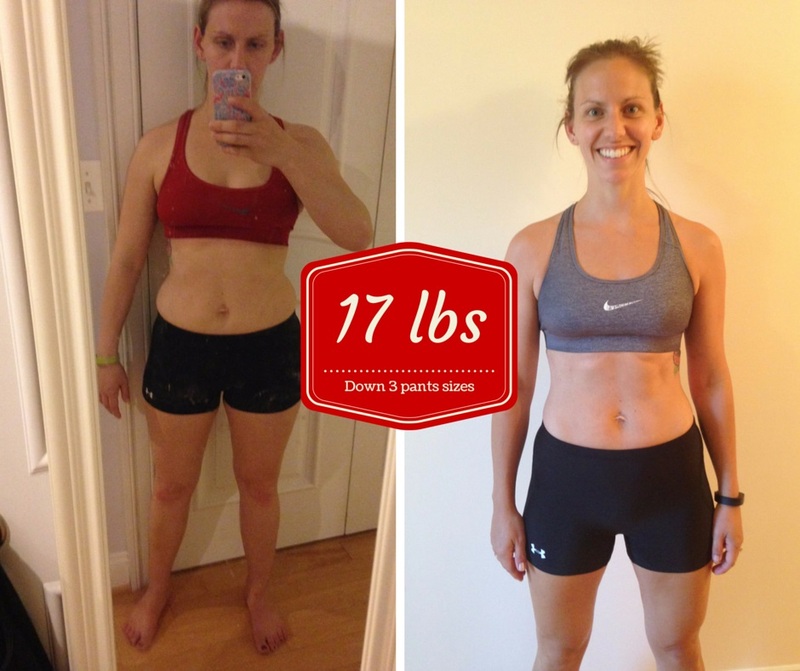 P+P: 17 lbs and 3 pants sizes is an incredible accomplishment! How did you stay motivated for those 90 days? My motivation came from several places. One – my support group and coach! It was awesome to see and hear from other ladies going through the same struggles and accomplishments that I went through! It also held me accountable knowing I was going to check in with them later and couldn’t lie! Also seeing the results motivated me big time! It wasn’t even what I saw on the scale – it was seeing little changes – my arms toning up – my legs slimming out – my tummy getting tighter. It started with small differences. Then I took the picture at 60 days and compared it to day 1. I could not believe what I saw! When it comes off slowly you almost forget where you started! I was so glad I took that before picture because it really put things into perspective! That then gave me the courage to try on an old pair of shorts that I had from HIGH SCHOOL! I could not believe they fit! Now 90+ days out those shorts are getting BIG! Yea I still can’t believe it! I also was very highly motivated by my son. I did not want to be self conscious and pass that on! I wanted to be fit and active and have better eating habits for him to learn! I wanted to be able to go to the beach and be happy swimming in the water and playing in the sand with him without any thoughts of “oh I bet people are looking at my belly” Plus just waking up and seeing his cute smile was all the motivation I needed to be healthy and be there for him! P+P: How do you feel today and what are your goals moving forward? Today I feel amazing and almost in disbelief. I know everyone says they want to lose weight, or tone up, or run that marathon – but there is always that self doubt. will I actually be able to do it? Can I do it? Now I do not even consider those questions! Yes, I CAN do it and I WILL do it! I am happier, healthier, thinner, more toned, can keep up with my son, and feel fantastic in anything I wear! My goals moving forward are to continue to create healthy habits. I feel like I am addicted to working out now so I want to try new things! I want to start lifting heavier and get more definition! I want this to be my lifestyle, a habit, something I don’t have to think about – just something I do, everyday, no questions asked! I have had such amazing results that I am now officially addicted! I jumped right into the 21 Day Fix and have plans on doing another program set to come out in December. I also am going to start training for the Baltimore Half Marathon in October (YIKES!)! I know what exercise, nutrition, and support has done for me, so I want to share that with others. It was pretty much a no brainer when you approached me about the coaching opportunity! I was already doing the workouts and working hard on the nutrition and I LOVED the challenge groups. So the transition into actually helping others do it was so easy! I have always loved to help and inspire others in any way that I can. Becoming a coach just gave me that opportunity.It also help hold me accountable! How can I help others if I am not doing it!? It was all the more reason to become a coach. I also had major support from my husband who knew this was something I wanted and something I would be good at! My son played a major role in my future as well. I want to be able to stay home with him but still provide financially for the family! Becoming a Beachbody Coach has me on the path to that lifestyle – all while keeping me healthy (and my family!) My future is filled with helping others and maintaining this healthy lifestyle – this isn’t a fad, its not a quick fix – it is hard work that I have made in to long lasting habits and I want to help as many people as I can do the same! I am so proud of Caitlin and all the hard work she has put into creating a better life for herself physically, mentally, and financially. Thank you so much for sharing your story with us! I am excited to see what you accomplish for yourself and your family in the next year, and I know you will help and inspire so many others along the way! 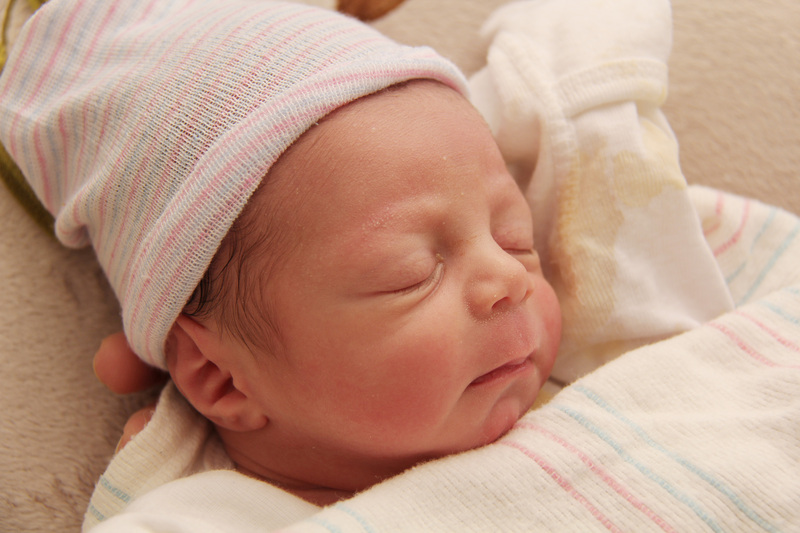 It’s been over two weeks since the arrival of our second little monkey, Luca Ronaldo Notes. 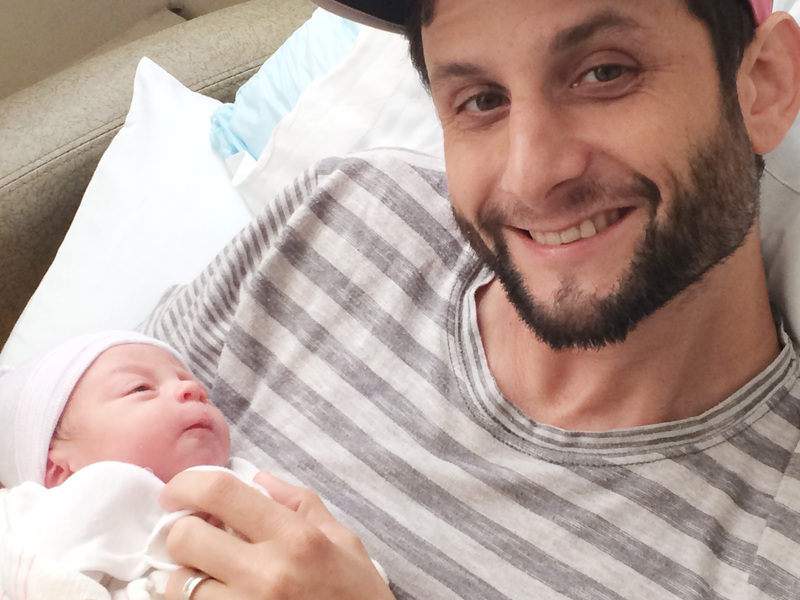 He arrived on Sunday August 23rd, 2015 at 1:39 am measuring in at 5 lbs. 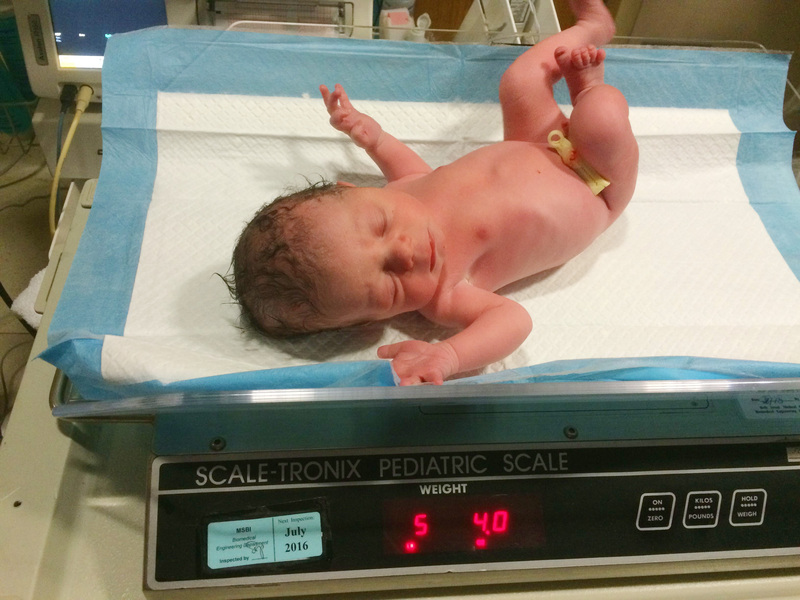 4 oz and 19 inches. We are over the moon and so in love with our little guy. 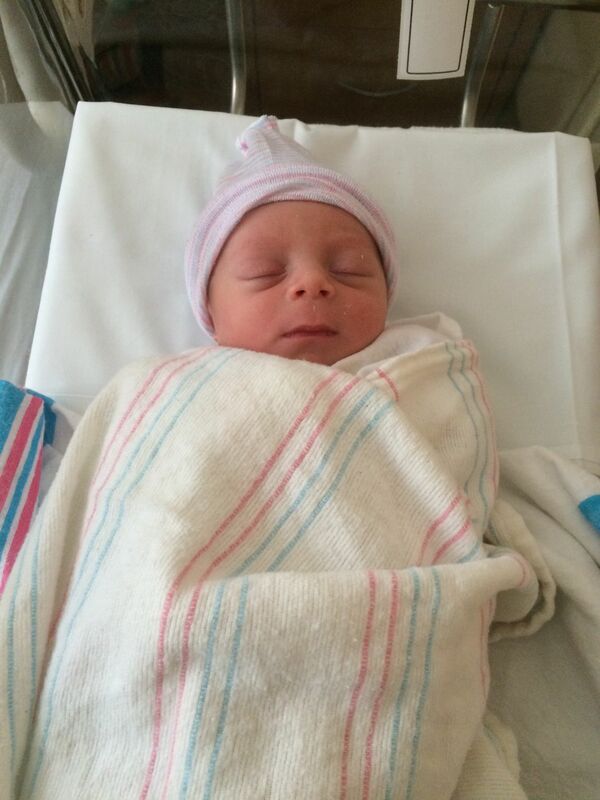 He arrived during the 38th week just like his older brother Nico, only this time my story is slightly different. 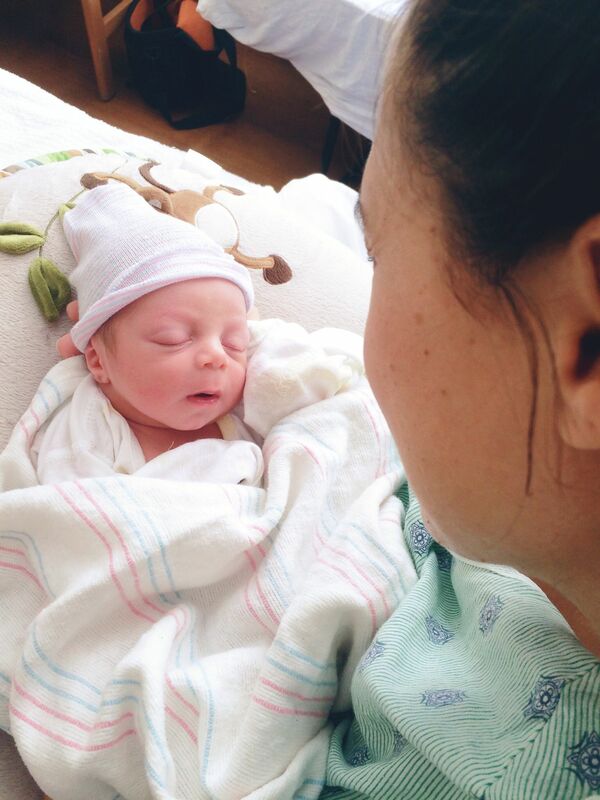 Throughout my pregnancy, Luca was measuring small (also like his brother), and they kept a watchful eye, but because of my history of having a small healthy child, they weren’t terribly concerned and basically left me alone treating me as a “normal” patient. However at the 37th week, my belly did not grow, and out came that watchful eye once more. I was scheduled for two appointments per week up until baby’s arrival and was told if the baby did not come by my due date (August 31) then we were going to have to talk about induction once again. Welp, we definitely didn’t make it to the due date! Saturday morning (August 22nd) I woke up and felt some liquid (down there), went to the bathroom and it wasn’t much, so went back to bed. About 5 minutes later, I started feeling some more and thought I would get up and check it out again. On the way to the bathroom, I told my husband that I thought my water could possibly be starting to break, but I wasn’t sure. As soon as I was about to sit down, there was a big “whoosh!” and yes, it was confirmed…my water was definitely broken! I wasn’t feeling any contractions yet, so I decided to take a shower and prepare to get ready for the hospital soon. I called my mom and she made her way up to Brooklyn to watch Nico. I wasn’t sure if she would make it in time, so we had our neighbors on stand-by in case we had to leave. 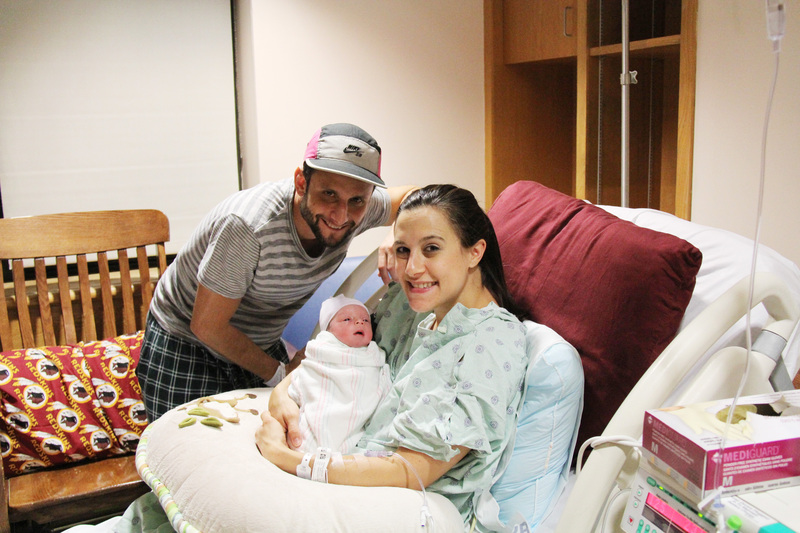 We called our midwives, and because I wasn’t feeling many contractions at this point, they said I could wait it out at home for a while, take a walk, etc. I spent the rest of the morning cleaning the house (last minute nesting anyone? haha), and then went for a walk around the neighborhood to try to get the contractions going. I started to feel a few painful ones, but honestly they were not that unbearable, and they were happening too infrequently. My mom had plenty of time to get to New York (from Maryland) and we gave her the lay of the land (on another walk) to show her some of the best places her and Nico could hang out for the next few days. Again, there were some contractions, but they were infrequent and not much was happening. Because time was passing and my water had broken, it was time to get to the hospital. We left the house at 6pm and headed to Beth Israel in the East Village. It was quite a calm drive to the hospital…not at all what I had anticipated. No traffic. Music playing. No screaming. Infrequent contractions. I suppose this could have been much worse!! We arrived and met my mother-in-law there who also had time to make the trip up from Maryland. 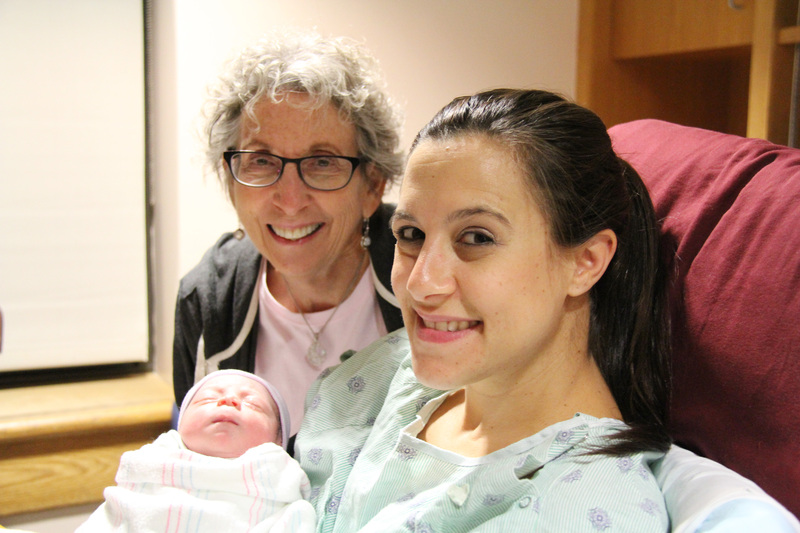 She is also a midwife, which doesn’t hurt in the Labor and Delivery Unit! I checked into triage to confirm my water had indeed broken (umm yes, I told them that I normally don’t have fluid coming out of me all day long). Regardless, they still had to “check.” It was confirmed. However, what was also confirmed was that I was only 1cm dilated. I was going to need some help. Help meaning I was basically going to be induced once again. Now I was really trying to avoid induction this time around, but at least it was happening when our little guy was supposedly ready to make his entrance. The fact that my water had broken made me feel a bit better about the induction process rather than starting from scratch like last time. The induction was about as painful and uncomfortable as I remembered from two years ago, although this time things kicked into gear EXTREMELY quickly! My contractions were picking up speed and picking up intensity right away. 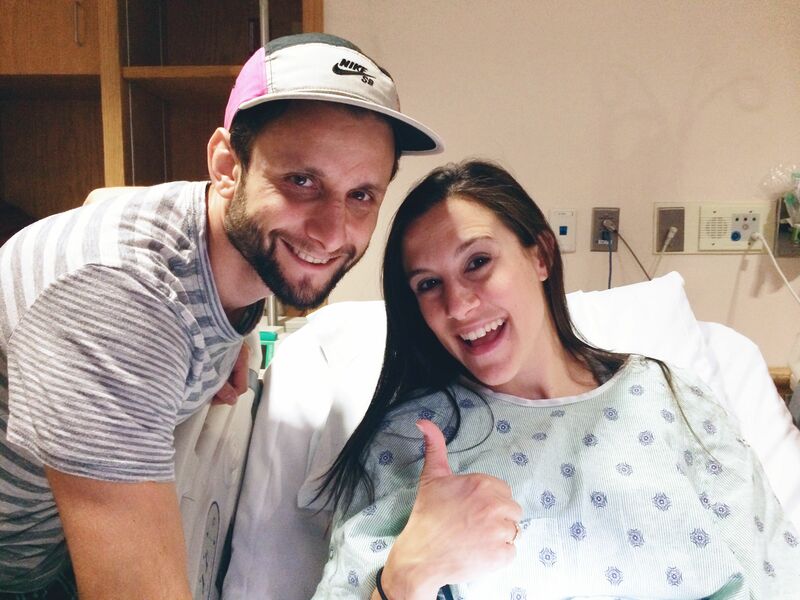 I decided to get an epidural a little earlier this time around so I wouldn’t be in “crazy mode” like I was last time. I am extremely grateful for that decision, because as soon as I asked for one, things started to increase even MORE intensely. 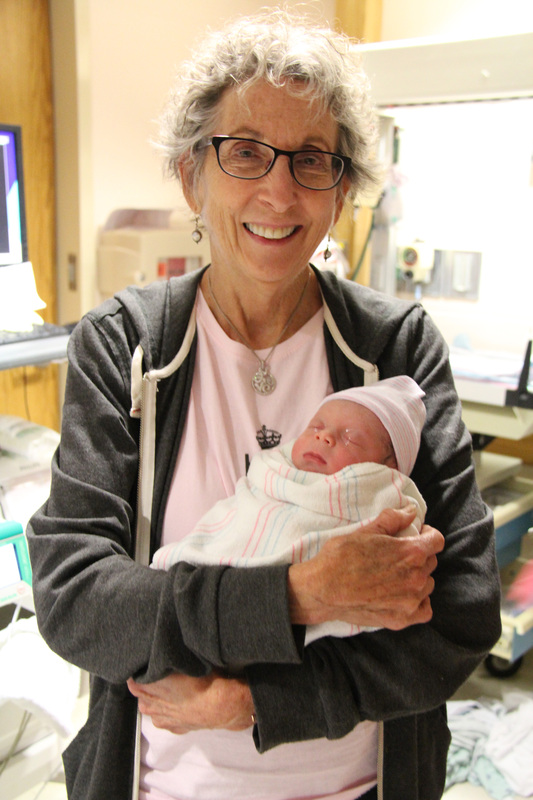 By the time I had signed off all the forms, the induction had done it’s job, and I was in serious active labor. 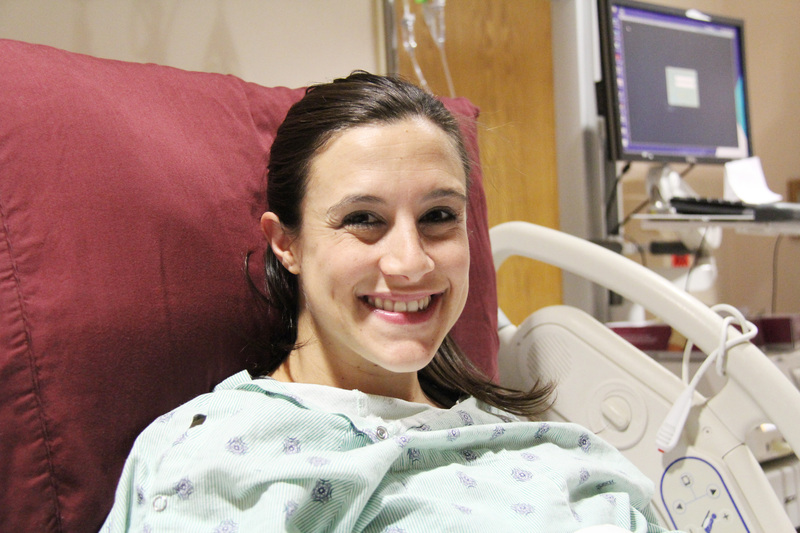 I was in a lot of pain, but the epidural process was smooth, and eventually it started kicking in and I could relax. I felt things had picked up rather quickly, and lo and behold I was right. By the time they got around to checking me, I was at 9.5 cm. WHAT!!! It was almost PUSH time!?!? Before I knew it, they told me I could start pushing. I gave a couple good pushes, and HOLD UP! Lady next door is hemorrhaging. Holy crap! Everyone ran out of the room (which I understand she was in much more danger than myself, so I get it), but I was kinda left there like uhhhh what now? I kept feeling the urge to push, but held off for about 20 minutes or so until everyone was able to come back. Luckily the lady next door was OK! Whew, and I could resume pushing once again. After it was all said and done, Luca Ronaldo Notes arrived 3.5 hours after I had been induced at the hospital. He was a happy, healthy, lovable little boy and we were in love! I have to say, recovery has been much easier the 2nd time around, and all of the newborn things have been easier knowing what to expect. The challenge is doing all of the newborn things while trying to entertain a toddler at the same time! I have had a lot of help these past couple weeks, but the true test will come next Tuesday when I am left to fend for myself with the two boys! Haha. I’m sure all will be well. There are plenty of women out there who have done it and survived right? Soon enough we will figure out our routine and our new “normal.” Until then, I am just trying to get as much sleep as I can at night, loading up on coffee during the day, stealing toddler kisses and soaking up newborn snuggles. Hope you are all having a great week! Make it a good one! Have you been wondering about what the heck is the dealio with this Shakeology “stuff” I have been drinking? Are you in need of getting your health and nutrition back on track? Since I am not yet cleared to get back into exercise just yet, I am going to switch it up this month and run a group based on nutrition and Shakeology! If you have been curious and you are interested in trying out a sampler before making a full monthly investment, then you are a perfect candidate for this group! I will have all 6 flavors available to ship and try out along with some of my favorite recipes to go along with each flavor. You can also feel free to try out your own recipes and share them with the group. Why Shakeology? Because it’s a great way to get in all your vitamins, nutrients, and super foods each day. It’s been known to boost your immune system, curb those sweet tooth cravings, lower cholesterol, improve digestion, increase energy levels, help with weight loss, strengthen your hair, skin, and nails…and so much more. 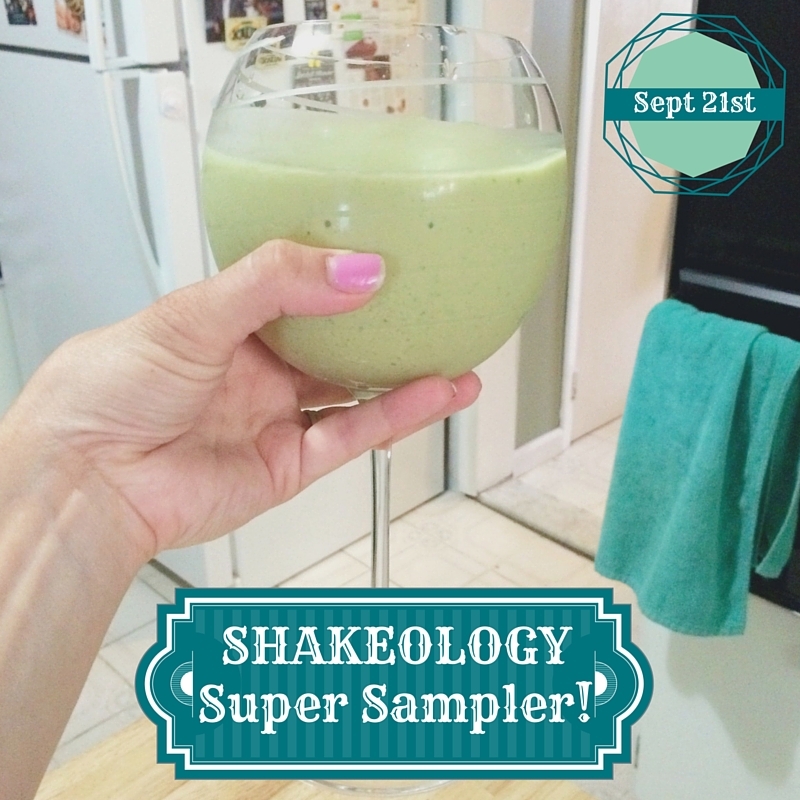 Shakeology veterans who are interested in learning new recipes and sharing with the group are also welcome to join! The group will begin Monday September 21, and I wanted to make sure to give everyone enough time to get their Sampler Packets before starting. COMMENT below if you want in or MESSAGE me for more information on how to get started, get your sampler pack, and join the group!